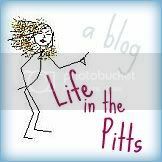 Life in the Pitts: BIG NEWS. Happy Birthday Week... I am 26 and HOLDING!!! It was a great year! PS: Congrats on the Etsy shop!! Yay! I'm glad you're opening your shop. I'm so excited for you! Also, you are not old. Congrats on going for it! You will do awesome! Etsy! How exciting! What will it be called?